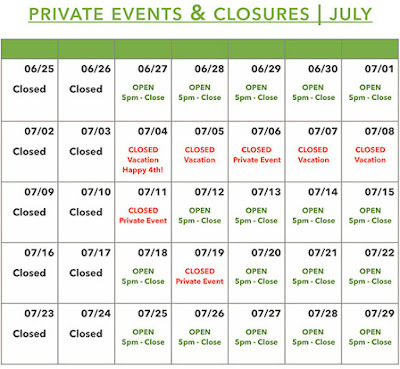 Please be aware that Rafns' will be CLOSED July 4th through July 11th for our annual summer vacation. 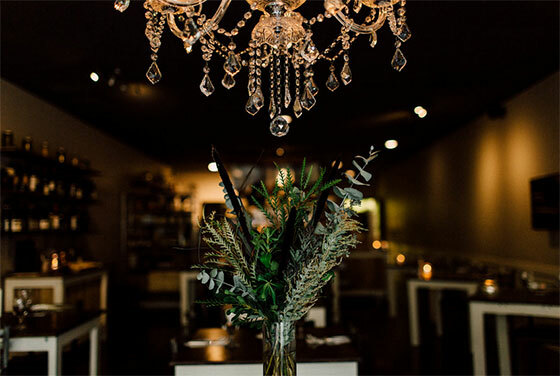 We will resume regular business hours on Wednesday, July 12th. Have a great Independence Day! P.S. 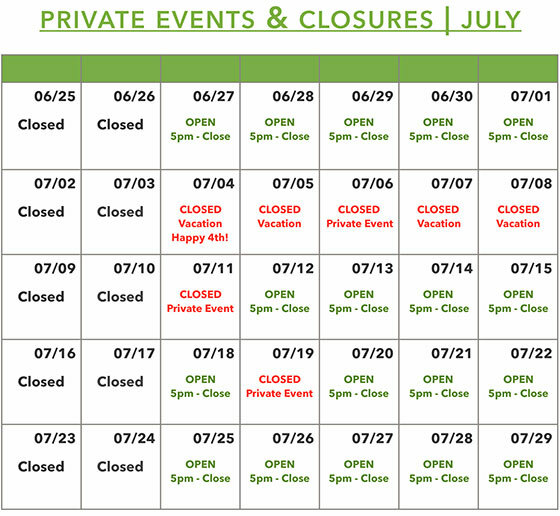 We have included a calendar below that lists all of our closures and private events for the month of July.